California is one of the most famous states in the United States. Therefore, it is known for many things including its beautiful cities. Two of these towns are Laguna Hills and Laguna Niguel, both located in Orange County, Southern California. Laguna Hills is located close to Laguna Niguel, but it’s also near Laguna Canyon and the very popular Laguna Beach. The land was launched during the Rancho era where, in 1821, Mexico became independent from Spain, and Mexican land grants were given as one of the results. The land was given to various individuals for raising cattle and sheep and eventually, on December 20, 1991, Laguna Hills became a city. Today, the area has a population of over 31,000. The weather in Laguna Hills is relatively warm all year long. The highest average temperature is approximately 72 degrees with the lowest at about 56 degrees. Due to the beauty and weather of the area, Laguna Hills is popular for visitors. A visitor who comes to Laguna Hills has an assortment of hotels to choose from, with an average price per night of below $350. Hotels such as Courtyard Laguna Hills Irvine Spectrum/Orange County, The Hills Hotel, The Waterfront Beach Resort, Surf and Sand Resort are just some of the options available to those who visit. When you visit Laguna Hills, there are a number of places to visit. One of them is the Laguna Hills Mall which features over 100 stores. Another is the Costeau Park which is dedicated to preserving the thousands of fossils that can be found below the surface. Take the kids to Pretend City Children’s Museum, an interactive museum for kids to enjoy. The city of Laguna Niguel is close to the Pacific Ocean and close to Laguna Hills. It has a population of over 62,000. Like Laguna Hills, the area was developed during the Rancho era and incorporated in 1989. Today it is mainly a residential and affluent city. 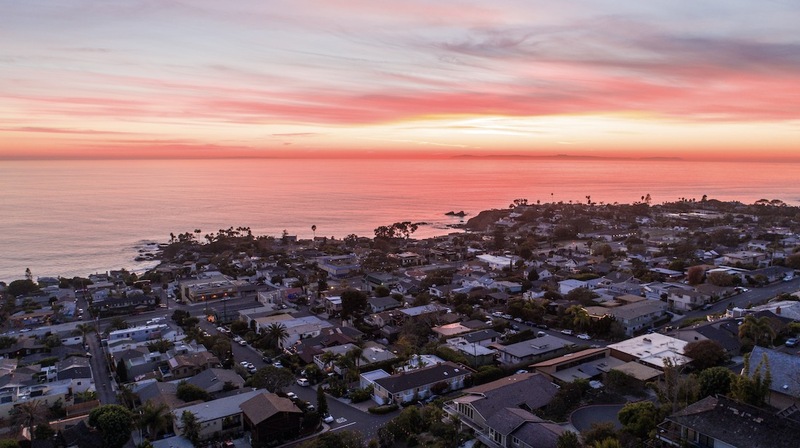 Upscale neighborhoods such as Ocean Ranch, Coronado Pointe, Crest de Ville, Bear Brand Ranch, and more are present. Laguna Niguel is considered a bedroom community or a community where people leave the city for their daily work and then return to live. The area has a coastal climate of an average high of 72 degrees and an average low of 56 degrees. Like Laguna Hills, Laguna Niguel is a place people like to visit. Things to do in Laguna Niguel are perfect for romantic getaways but also family outings. There is the Irvine Meadows Amphitheatre, the Segerstrom Center for the Arts. There are beautiful beaches such as 1,000 Steps Beach and the beach known as Main Beach Park. 1000 Steps Beach is sure to be a winner with beach lovers, as well as surfers. The iconic steps take you to a great spot for sun and surf, an ideal way to spend a day or two. Visitors who come to Laguna Niguel have a number of hotel options such to choose from, with prices per night averaging below $350 or pricier for five-star hotels that are popular in the area. There is Laguna Beach Lodge, Fairfield Inn, Monarch Beach Resort, The Ranch at Laguna Beach, Montage Laguna Beach, The Ritz-Carlton, and more.